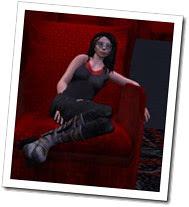 I’ve been revisiting SecondLife on the Internet. 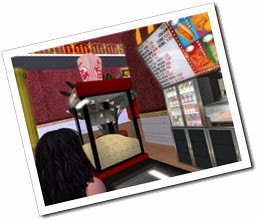 Its a huge 3D chat and social world where you can do so many things, meeting tons of people, join in groups, and use Secondlife as a game, exploring Sim, or a social network. You will need the SecondLife program. This means, its possible your computer might not handle the graphics, or will lag or stagger. Check the settings and the program’s requirments before joining. Membership is also free, but paying members get the added benefits of more places and they can buy land. 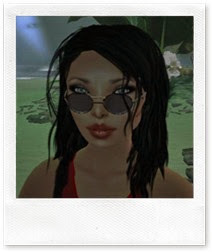 You see, Secondlife also bears a workable economy. Their money is called ‘simoleons’, and you can earn and spend just like real money because it is real money in a sense. There is an exchange, and although you can find TONS of free things, the nice stuff requires some money. I’ll post the areas (they call them sims) when I visit them and take photos. 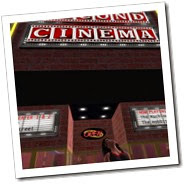 Today I went to a cinema in Secondlife. Yes, that’s right. I can sit and watch a full length movie in this theater, with other people. They show four different movies. I viewed The Hobbit. You can pick from pillows, chairs, or even balcony seats. And when you click on the seat you’ve chosen, you can select up to ten different ways to sit. So I figured I’d sit ‘like a boss’. Oh and you can view the movie in First Person or in Third Person as well. You ‘chat’ with others by typing but there is a feature where you can ‘talk’ with a microfone. I’m sure others in the theater would get upset if you talked out loud in the theater. You can chat to others near you, or chat directly to the friend(s) with you. Getting snacks. They are virtual, but it can be fun to get a virtual drink like a Pepsi or beer. I bought a Breeze, and it included an animation that let me ‘drink’. Second Cinema is located at http://maps.secondlife.com/secondlife/Odie/155/237/1505 which should open the Secondlife program and take your directly there. You can also use the search and find it. There are more theaters, some showing old videos, to modern, and so forth.